The National Board of Review is usually one of the first organizations to kick off film awards season, and it’s no different this year. The organization, made up of film enthusiasts, industry professionals, academics and filmmakers, announced its 2018 honorees Tuesday. 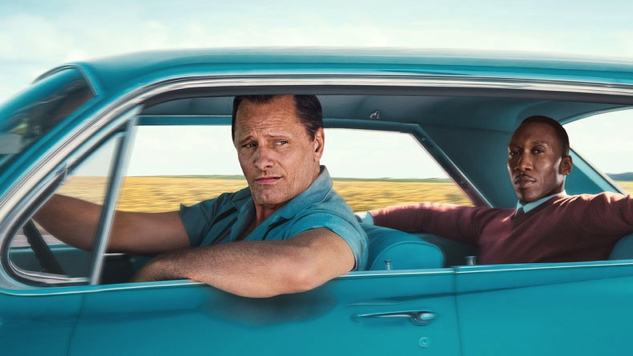 Best Film went to Green Book, and the voting body also fueled the A Star Is Born hype train, giving the juggernaut musical drama three prizes, including Best Director for Bradley Cooper, as well as a slot among the organization’s top 10 films of the year. While the National Board of Review awards aren’t a reliable Oscars predictor, they typically help define which films will get the most attention in the coming awards season. The big wins come as no surprise for A Star Is Born, although Green Book likely needed the boost following an underwhelming Thanksgiving box-office weekend, as well as the ongoing controversy around its regressive, Driving Miss Daisy-esque plot. Last year’s Best Film winner, Steven Spielberg’s The Post, scored only two Academy Award nominations after being the presumed frontrunner throughout awards season, though, so we’ll have to see whether Green Book can pick up more momentum in the coming months. Check out the full winners list below. The honorees will be celebrated at the NBR Awards on Tuesday, Jan. 8, 2019 in New York.